This is a submission from Brian Higginson, for his work, KARL. I’m trying to inject some tension and sense of unease about what will happen. Is it too heavy handed? Also, the boy Karl is 8 at this point – does it need to be stated earlier? And what about the dialogue? Does it work? It’s set in England. Is this a problem? Afterwards, everyone kept telling Karl it wasn’t his fault, what happened to his dad. But who do you blame if it’s not your fault? Couldn’t blame his dad. I feel like I’m coming upon something in the middle of it. Like I’m walking into a conversation. It’s sort of jarring, which I think is helped along by the fragmented sentence. Also, it’s “afterward,” not the colloquial “afterwards.” But we do get something that happened and some tension right away. The day before the soccer game, they were all at the train station in Manchester. Karl’s mum was going to Wales for a conference. She bent down and zipped his coat right to the top. She held his face in both hands and kissed him. Now we’re getting grounded in a time and place. As the writer mentions, Karl is 8 years old here, so the details of the mother zipping his coat up seem age-appropriate. Since this is a third person narrator and somewhat removed, you could also mention what kind of conference so we get more context for the mom. Months and years later when he woke sweating in the night, from the fear and loneliness of it all, that’s what he cried out for more than anything. Her hands on his cheeks; her kiss on his brow. His mother. Mein mutter. Red flag! This has gone from an early middle grade (because of the very young protagonist) to a work of adult fiction. Why? In children’s books, the action is confined to a relatively small space of time (a school year) and the character is experiencing the story very immediately. In adult books about childhood, the adult narrator is telling a story that happens during childhood but they’re looking back on it from a place of experience. True kidlit that’s on shelves today lacks that kind of “looking back on it” feeling, since a lot of kids don’t have that perspective of life experience. You never see a 16 year-old reflecting on their 15th year with nostalgia and thinking “if only I knew then what I know now,” etc. Kids don’t have those self-reflective tendencies that crop up as we age. I’m starting to wonder a) how old the Karl narrator is in “real life” and b) how many years of childhood this manuscript is planning to cover. “I’ll bring you back something nice for your birthday,” she said. Now she was hugging Hans, Karl’s dad. Nothing about the dialogue pops out at me. It seems pretty pedestrian. While that’s not bad for a beginning, it’s not ideal, either. This is the equivalent of small talk with a little backstory (re: the birthday) worked in. That doesn’t make for riveting reading. She turned back to Karl, with a look of mock seriousness on her face. It was a joke, he knew that. But later it wasn’t the joke he remembered, only the broken promise. There’s a bit of dry language here that wouldn’t come naturally to a true 8 year-old perspective (“mock seriousness”) but there’s also some melodrama (“only the broken promise”). Still, this returns us to the tension of the story as we know it so far — what happens to the dad. The tinny, garbled sound of the tannoy on the station platform announced Cara’s train – at least it must have been her train because she picked up her suitcase. Karl couldn’t understand a word: though he remembered the harsh, metallic sound of it in the dreams and nightmares that were to come. Again, this faraway perspective of Karl (however old he is “now”) looking back on this scene distances us incredibly from the kid Karl who we’re supposed to be bonding with. It gives this scene an echoy, dreamy feeling, as intended, but that also makes it more difficult to grasp on to something in this scene and emote. I also don’t know why the writer called special attention to the fact that Karl isn’t sure it’s her train. Isn’t it? Or will this detail become important later? If it’s not, don’t mention it… it raises unnecessary questions. Suddenly Karl’s mother seemed to be vanishing before his eyes. As he looked at her smiling down at him with her suitcase in her hand, it was as if she was at the end of a long tunnel. Karl was convinced at that moment that he would never see her again. This mixes the tension and, as a result, dilutes it. We’re supposed to be focusing on Karl’s dad in this ominous bit of scene, but now he’s worrying about his mom. Which is it? Be careful of ruining the effect by dividing our focus. (This is a note for the whole beginning actually. He starts talking about his dad, then he’s talking about how much he loves his mom. Then there are danger signals for dad again, then back to mom. Focus.) And we do still feel distant. If you use the same analogy of the long tunnel, that’s actually how the reader feels when we’re looking at the character of Karl. We’ve gotten little interiority (thoughts, feelings, bodily sensations that happen in the moment or as a reaction to the moment) from him so far. The thing I want to ask the author here is — what perspective is this story told from? From Karl, the kid’s? Or from an adult Karl, looking back on his childhood? The thoughts and feelings an adult has about their childhood will be interesting to one group of people and one group of people only: adults. That’s where these types of stories are shelved in the bookstore. They are not kidlit. If you want to write a children’s books, first, raise Karl’s age. This seems like a heavy story. Readers want main characters who are one or two years older than they are, so right now, you’d be targeting 6 to 8 year olds. That doens’t seem appropriate. Make Karl 12 or 13 to get the middle grade audience, or 15-17 for the YA audience. And tell the story through his experience of it IN THE MOMENT, not looking back from adulthood. Really get into Karl’s head then and there. Even if Karl “right now” is 16 and looking back on when he’s 8, that’s still splitting your audience. You’ll always be alienating half of them. Eight year-olds won’t want to read about 16 y.o. Karl because that’s far outside their experience. Sixteen year-olds will think 8 y.o. Karl’s experience is babyish. That’s why you don’t see books with a wide age gap between characters in kidlit, because kids like to read about characters who are close to their own age. Where would booksellers shelve a book with both an 8 y.o. and a 16 y.o. version of your character? MG? Then you lose YA readers. YA? Then you lose MG. Bookstores won’t build a special shelf just for you. So pick one age, bring the reader close to it and really delve into that person — at that age — and their experience of the story. If that doesn’t sound appealing to you, you’re writing an adult book with a retrospective on childhood instead of a children’s book. Today’s workshop submission comes from an anonymous source for her project, SCARLET BUTTERFLIES. From her brief introduction to the piece, it looks like the story is about music and a girl who plays guitar. I’m struggling showing what the story is from the beginning. Also, I’m not sure if I’m a seasoned enough writer to be writing in first-person present. Two things here. The four description sentences are all around the same length. Try reading them in a monotone voice. You’ll get into a sing-song rhythm because your brain will start skipping over sentences that all look the same. To keep readers engaged, vary sentence length. Second, this opening paragraph is all about the mom. While there are some actions and images here, who is the focus of the story? The first image in your novel, the first person you describe, they are in an extremely important position. More people will see the very first thing you talk about than the last thing. Shouldn’t these first moments be focused on your principal POV character rather than an adult? This is disorienting. Usually, our feet get used to the floor pretty easily. This makes it sound like she just came in the room. How close is she to Mom, spatially? Why does their kitchen have concrete floors? Also, two mentions of butts in the first two paragraphs. Even to teenagers (unless they’re middle school boys), butts do not equal instant voice or comedy. Every once in a while she tries to be wonder woman. And right now, she’s slipping on black shoes, frosting cake, searching for car keys, and still managing to speak with me. Really chaotic, but not in the way you intend. You’re making the reader scramble a lot to try and keep up. We just saw description of her working on the cake but all these other actions are jarring. Doing all these things while trying to get a cake out of a hot oven seems risky, not heroic. Also, notice, still very Mom-focused. The Wonder Woman comment sounds like something a mom would say to describe her own mom efforts. Teens, no matter how good their parent/child relationships, don’t always have this kind of insight into how hard their folks really work on their behalf. That’s a more retrospective thought that comes later, with more life experience. I don’t get the “she tries her best to care.” This implies that she really doesn’t care, which implies problems. This also doesn’t square with the Wonder Woman comment, above. A Wonder Woman parent would care, deeply. “Progress” and “gradually” are also dry, voiceless words. If you can find it in an office memo, it probably doesn’t belong in a teen’s mouth, especially in first person POV. Cutting the first part and just saying: “School stuff is the last thing I want to talk about…” would make this stronger… and also less Mom-centric. Look at how Mom is still the primary subject in most of your sentences. This dialogue isn’t the most natural. These people sound like they’ve never talked to each other before. A lot of writers use spoken backstory in their dialogue to try and introduce information that the characters already know but that the reader should know, too. If you ever find yourself saying, “You know…” or “I know I’ve already told you…” or anything similar, that’s a red flag. Would two people who have been living with each other for 16 have this conversation? Also, “Mom” by itself is capitalized, and should be, above, “my mom” or “her mom” is lowercase. I know my mom’s trying to be nice, but I hate that she calls me by my real name. I’ve always wanted to tell her I don’t like it, but it would hurt her feelings. My name is Robbie. Robbie Rae McIntyre. What kind of first name is that anyway? McIntyre’s fine, but Roberta? It reminds me of some old lady. And I’d bet anyone a million bucks there’s a Roberta living in the nursing home down the street. Almost every first manuscript I read has a character talking about how much they hate their full name. This is a very simple way to introduce information, as per the backstory comment above. This is also extremely overdone. And again… the beginning of every piece of your manuscript is the place where the spotlight will fall. The beginning of the novel. The beginning of a chapter. The beginning of a paragraph. That’s where readers will expect you to put the most important information. And here… who, once more, occupies the privileged place at the beginning of the paragraph? That’s right, Mom. Also, nitpick: “bet a million bucks” is a tired cliche. 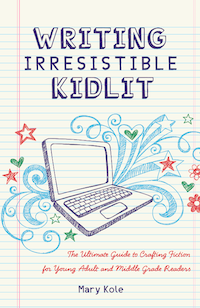 To wrap up, I’d say this author could devote some energy to finding her authentic teen voice. Focus less on the mom and more on the POV character. I feel like we got to know the former better than the latter. From a story perspective, though, I’m struggling to find what the larger manuscript will be about. I didn’t get a sense of a) the possible conflict that will arise and b) any music stuff, which seems central to her brief plot description. Both need to be present from the opening. Also, here’s a consideration… what will be the core relationship in the story? Will it be with Mom? In that case, that comes across clearly. If it will be with a boy or with a friend or with a sibling, though, there’s no hint of that at all. You set the tone with your beginning. Reading this, I think it will be a family story about a girl’s relationship with her mom. If that’s not the case, maybe pick another moment to start the story with, one that better conveys what we’ll be reading about. The Big Sur Workshop in Monterey, CA this weekend was SUCH a blast, as always. I met great writers, connected with some new and already favorite editors and got to spend some quality time with my beloved colleagues, which is always a special highlight of the conference for me. If any writers reading met me there, feel free to drop me a line and keep in touch! As a result, though, I’m a bit exhausted this morning and find myself unexpectedly staring at over 50 new submissions that I didn’t think I’d have to squeeze into my schedule. I usually update the blog on Mondays, Wednesdays and Fridays but I’m going to take an extra day to put together my first workshop from the idea I posted on Friday. In the meantime, I’ve got client manuscripts to read, contracts to look over, emails to answer and a Monday to jumpstart. See you tomorrow! What do literary agents do? I wrote a post a while back about what to expect when you’re working with a literary agent. Personally, I love to to get editorially involved in client manuscripts. I think I’m part of the majority on this and that majority doesn’t just include new agents. 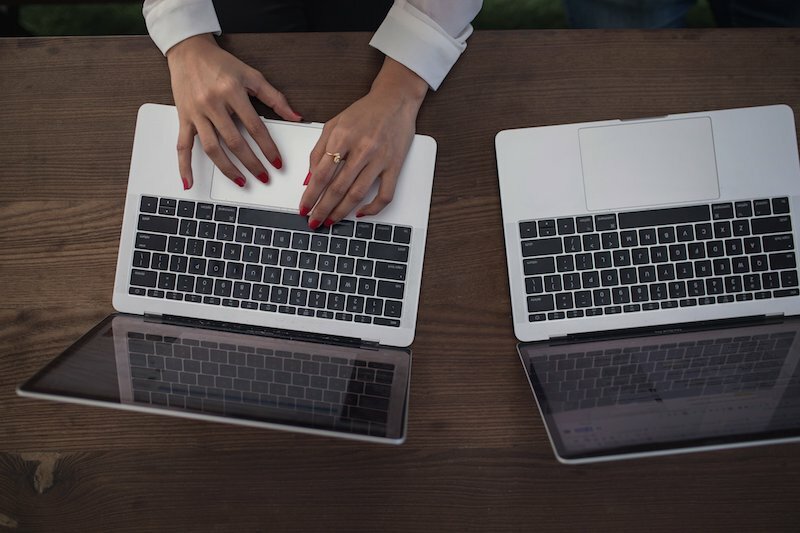 Most agents, whether fresh on the scene or established, are finding themselves doing more editorial work these days. What do literary agents do? 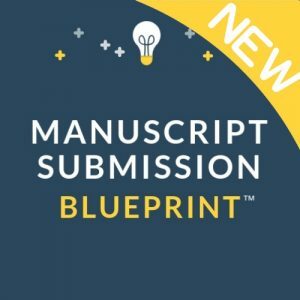 Most likely, they’re pulling double duty — editing manuscripts as well as submitting them to publishers. Why this shift towards editorial agents? The publishing industry is in flux right now. Houses have been restructuring, having layoffs, piling more work on their remaining staff. Editors, associate editors and editorial assistants are finding themselves faced with a lot more to do, including all sorts of in-house duties that most writers can’t even imagine. Editors are finding less time to do the actual, you know, editing that probably attracted them to publishing in the first place. In fact, most editors routinely report that part of the editing they do for their authors — let’s not even get into the reading they do for manuscripts that come in on submissions — takes place at night and over the weekends. Editors are the ultimate gatekeepers in publishing. Agents are the first line of defense, in this analogy at least, against the slew of submissions that would inundate all major houses if they accepted anything unsolicited. Now that the gatekeepers are finding themselves with less time to edit, it has become that much more important that agents send out projects that are polished, compelling, carefully revised. That means agents have to do more work with a client before going out on submission, and the barrier to entry has gotten higher. Gone are the days when editors feel like they’ve got the time and resources to take on a severely flawed book and uncover the masterpiece hiding somewhere deep inside it, like Michelangelo liberating David from the marble. That’s now mostly an agent’s job, I think, and that’s only if they want to invest the time. This doesn’t mean editors don’t edit once they acquire. Editors still work just as hard — and oftentimes much harder — now than they ever did. They give brilliant insight, amazing notes, gentle suggestions and really help an author learn and grow. An editor-author relationship really can be a wonderful thing. But the beautiful disasters aren’t going to catch an editor’s eye or convince their acquisitions committees as much anymore. Since their jobs have changed, the job of the agent has, too. In children’s books, there’s an additional obstacle that’s developed this past year or two. Children’s is a market that has, so far, refused to go as deep into the toilet as many other book markets. In fact, it has done rather well throughout the recession. So a lot of agents who never would’ve thought to represent children’s books are now picking up clients and going on submission when they perhaps don’t know the market as well as agents who are experienced in the children’s book world. These newcomers haven’t read a lot of children’s books themselves, they don’t know what makes a good one, they might not be able to give the best editorial advice for the market. This is an additional problem for editors, who are getting submissions of lesser quality from a first line of defense that has some newbies in it. This isn’t an issue at my agency — we’ve been exclusively representing children’s books for almost 30 years — but I’ve heard about this problem from editor friends and saw it with my own eyes when I worked at Chronicle. Not only should you be querying with a manuscript polished enough to make an editor’s acquisition argument easier down the line, you should also query agents who are experienced in children’s books. A lot of people are trying to get into the game. If you want editorial guidance and the benefit of real experience, make sure your list of potential agents is full of real children’s book pros, not just people who hear the siren song of a strong (as strong as it can be in this economy) market. As most of publishing slumbers, I’m going on a quick holiday blogcation and will refrain from posting until Monday, December 28th. In the meantime, read over old posts, share your thoughts in the comments or, you know, step away from the computer and go spend time with loved ones. This blog won’t be able to hoist a glass of champagne or eggnog and warble through the canon of Christmas carols like only your tipsy extended family can! Revision-o-Rama will return for a few posts at the end of the month (And the end of the year! Can you believe it?) with some exercises and “action items” for you all as you continue with your writing and revising into 2010. And since I believe in gratitude and looking around every once in a while to say, “Wow, my life is awesome!”… I want to thank all of you readers and comment-leavers and writers for making Kidlit’s first year such a success and a great experience, both for me and for the other writers who visit. May this holiday season and the new year bring you all love, happiness, writing mojo, and, of course, closer to the end of a Million Bad Words! My phone rang the other day and on the other end of it was none other than Chris Baty, founder and head honcho of National Novel Writing Month, or NaNoWriMo (and local writer.) Of course, I burst out laughing immediately, imagining the massive trouble I was about to get in for my snarky NaNoWriMo post about a month ago. However, Mr. Baty was nothing short of delightful. He didn’t want a personal apology, he wanted to confirm whether or not agents really do see an increase in queries every December (we do). Imagine that… he had never heard of this particular phenomenon! We talked about why NaNoWriMo is awesome for writers, but we also happened to discuss why revision is oh-so-important, among many other writer/agent/publishing issues. Long story short, I’m going to do a guest blog post over on the NaNo blog in a few days about the importance of revision. I’ll post a link when it’s up and ready to go. What a perfect extra way to get myself, you all and, now, the greater NaNo community of writers even more pumped about Revision-o-Rama! This is a very quick note for those of you inclined to use a pen name. It will not apply to all of you. 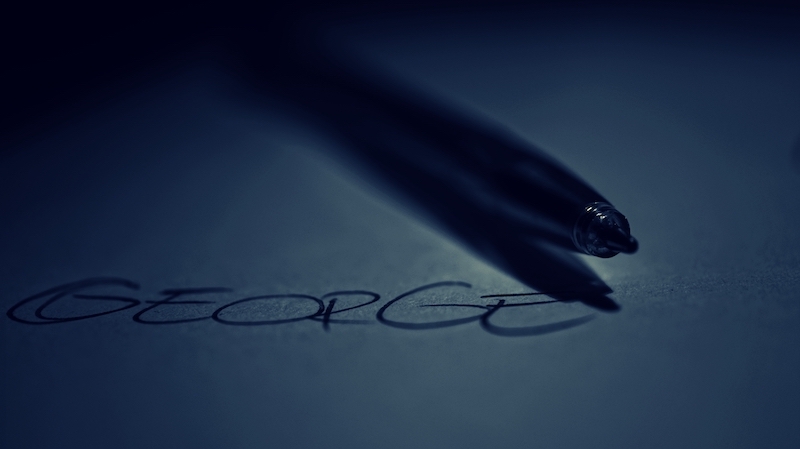 Is your real name George? Then you’d better tell the agent you’re querying so they know who the heck to respond to. Save the pen name for your published work. When you’re P.C. Cast or J.K. Rowling, or you have a book cover to put your mysterious writerly name on, then you can use a pseudonym. But in a query, if writers used just their mysterious writerly name and nothing else, I didn’t know who to respond to. And I felt stupid writing “Dear P” in an email. You know the agent’s name; you should share yours, too. The most important part of querying is making sure you have a strong project to submit. Hire me as your manuscript editor and I’ll guide you towards creating something you’ll be proud to attach your (pen) name to. A site for writers, readers and fans of children’s literature written by Mary Kole, associate agent at Andrea Brown Literary Agency!